Did people know about the disappeared? 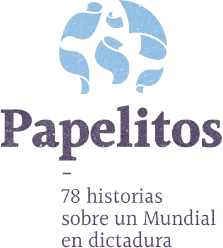 The news during the 78 World Cup in the main graphic media shows that it was known that the dictatorship was kidnapping people. “Was it known?” 40 years after the 78 World Cup, it´s hard not to wonder if the men and women who shouted the goals of the Argentine national team knew what was happening while the ball was rolling. Today the genocides are being investigated by the Judicial Power, there have been 203 sentences for the crimes against humanity committed during the last civil-military dictatorship (1976-1983). After these judicial proceedings, 1034 repressors are detained, despite the fact that only 60 cases out of nearly 600 came to a final judgment. A process of memory, truth, and justice that at this rate will end in 2024, 48 years after the military coup. Meanwhile, the relatives of the 30,000 disappeared will continue demanding to know the truth about the fate of their loved ones while the repressors will take their “pact of silence” to the grave. But ... what could be known during the World Cup? The reading and analysis of what was published in the national newspapers in the months before and after Argentina won the Cup allows us to understand that, when the dictator Jorge Rafael Videla delivered the inaugural speech of the World, on June 1 of 1978, or when thousands of Argentines went out to celebrate in the streets, on June 25, groups of relatives, human rights organizations, lawyers and some journalists were denouncing the existence of the disappeared, detained for political reasons and other violations of human rights. Although the denial and concealment of information by the dictatorial regime and the almost total absence of a critical analysis by journalistic companies prevented knowing the full scale of horror, its presence was undeniable because of the brave efforts that were made in the country and above all because of the international pressure exerted by organizations and governments. In the months prior to the World Cup, while some newspaper companies were firmly attached to “change the image of the country” –like Clarín and La Nación, which were favored with the acquisition of Papel Prensa, or Atántida publishing house–, other newspapers such as La Opinión and the Buenos Aires Herald suffered pressure and persecution. Robert Cox, director of the Herald, was illegally arrested in April 1977 and went into exile after the World Cup after receiving a letter addressed to one of his sons, in which the whole family was threatened. Meanwhile, the case of Jacobo Timerman, editor of the newspaper La Opinión, would be on the agenda of national newspapers throughout the year before the World Cup. Timerman was illegally detained by a task force in April 1977 along with editorial director Enrique Jara. The official information of the fate of both was uncertain during the first days of their detentions, which put the categories of “detainees” and “disappeared” into discussion, as analyzed by the sociologist Estela Schindel in her book La desaparición a diario (2011). Days later, the Military Junta would recognize the arrests. 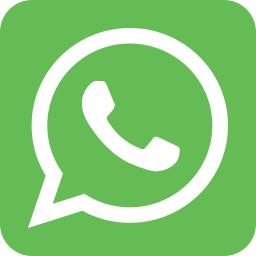 The issue would remain in national newspapers until two months before the start of the World Cup, when Timerman received the “benefit” of home detention. On March 3, 1978, La Nación published only two lines on the evaluation of the Inter-American Press Association (IAPA) about the Argentine situation: “During the recent months, in Argentina there are journalists among the hundreds of people who have disappeared or have been arrested for political reasons”. The seriousness of the accusations seemed not to alter the directors of these journalistic companies. The same day in La Prensa that information was published under the title: "The IAPA alerts on the risks of journalism." That was days before the one-year anniversary of the disappearance of the journalist Rodolfo Walsh, after spreading his “Open Letter to the Military Junta”, which he had sent to all the media but none of them published. The case of Timerman continued in the covers of national and international newspapers. The echo of the news about the disappearance of politician Héctor Hidalgo Solá, leader of the Radical Civic Union, kidnapped and disappeared by a task force of the Navy despite occupying the position of Argentine ambassador in Venezuela, also persisted. On March 29, the disappearance of the French nuns, Alice Domon and Leonie Duquet, kidnapped together with the founder of Mothers of Plaza de Mayo, Azucena Villaflor, in December 1977, also reach the papers. “The corpses of the two missing French nuns (...) appeared on a beach” was published in the International section of La Nación. Resounding cases like these, which demanded public explanations from international organizations, banned political parties and foreign governments, removed the veil of terror present in Argentina. As Schindel analyzes, “by revealing themselves as something continuous” these detentions were “evidence of the State's responsibility in so many other 'disappearances'”. Two months earlier, in February, a member of the Military Junta and Chief of the Navy, Emilio Massera, would give a brief official response to the press about the cases of Hidalgo and the French nuns: “There are many people who have disappeared and most of them, we verified later, have just escaped”. “Flights”, “took down”, “confrontations”, “lifeless bodies”: those were the words the genocides selected and the media replicated sporadically to talk about the murders of trade unionists, students, journalists, artists or militants of the guerrilla organizations, whom they pointed to as “subversive” or “extremist”. Schindel takes the term “take down” to analyze that discursive universe supported by most of the media: “A magic word that closes every question, every concern for the circumstances in which the action takes place”. Increasing pressures from foreign embassies (the United States had a list of 7,500 disappeared, international human rights organizations (Amnesty International had made another list of 7,000 disappeared) and the claims from the nascent local human rights organizations forced the Military Junta, in the months before the 78 World Cup, to publish official lists in the newspapers. 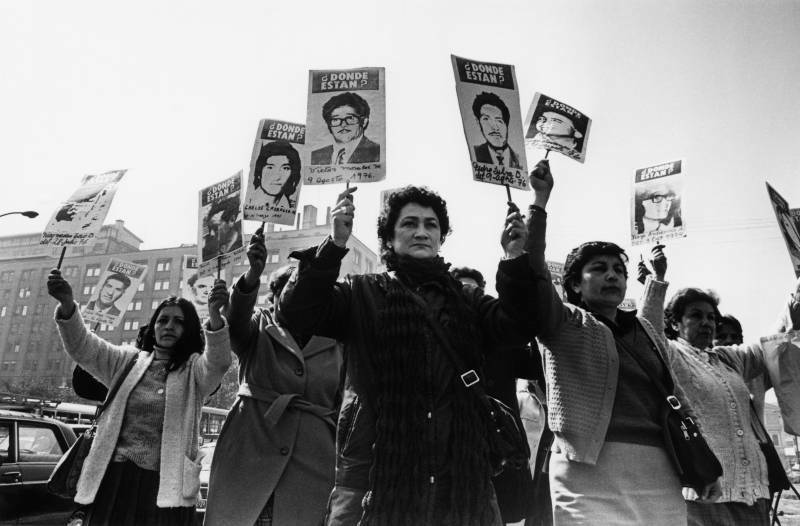 Three days before, in the newspaper La Prensa, the Permanent Assembly for Human Rights (APDH) published another paid for announcement in which they stressed that “the publication of lists of political detainees has not yet allowed verifying the whereabouts of many disappeared.” The text would occupy three sheets with the list of 2,500 disappeared. From abroad, the pressure on the Military Junta also increased. Sweden, France, Austria, Canada and the United States had lodged complaints with the UN Commission on Human Rights. The pressure of the Jimmy Carter administration is still remembered by human rights organizations. Meanwhile Videla walked with the former US Secretary of State and ideologist of the Latin American dictatorships Henry Kissinger, as aspecial guest. At the same time, the Red Cross was preparing a visit to the Argentine prisons and the Inter-American Commission on Human Rights (IACHR) was negotiating at the Organization of American States (OAS) a visit to Argentina. The top representatives of the military dictatorship gave interviews to the international media to present their version of “a war against the subversion”, with the goal of showing abroad a “good image”. The Minister of the Interior, Albano Harguindeguy, five days after the start of the World Cup, talked with the Italian newspaper Il Tempo and his words were replicated by local newspapers: “Deaths and thousands of disappeared have been a tragic need, were indispensable. But, finally, the subversive groups have been defeated.” he said, leaving no room for doubt. With the World Cup in decisive hours and Argentina classified to the final after the celebrated 6 to 0 win of Argentina over Peru the then Minister of Foreign Affairs Oscar Montes was on tour in Washington. “Let them come to verify”, was the title, in defiant tone, of the chronicle published in the Popular Newspaper that informed the acceptance on of the Military Junta to the visit of the IACHR. The IACHR would arrive a year later and in its December of 1979 report it would denounce the “numerous and serious violations of fundamental human rights.” On that visit to Washington for the eighth general assembly of the OAS, Montes took the dictatorial request to veto the participation of Amnesty International in the IACRH visit. HE lost by 15 votes to 4. With a packed stadium, Argentina would win 3 to 1 to the Netherlands and the dictator Rafael Videla would give himself the luxury of delivering the World Cup to the captain of the Argentine National Team for the first time in history. Two days later, he would give an interview to the BBC network in London, which would then be replicated by the Buenos Aires Herald, Crónica, and Popular. The disappeared were a tragic reality difficult to deny: “Some have died, others have been arrested and others have disappeared. (...) There may be people who, I accept, may have disappeared due to an excess of repression. I'm not sure that's true, but I admit it might have happened.” Videla’s words could be read in the newspapers, while the echo of the festivities continued.